iBeacons are here to stay! Currently, they are in most conversations just a terrible buzzword, very few know exactly what it’s all about. Because xamoom also supports Beacons of all types, we want to bring light into the darkness with this blog post. As mentioned before, an iBeacon is a rather stupid part: It only broadcasts its three IDs in certain intervals and at a defined power. However, it does this in a rather clever way. A smartphone cannot only receive the signal but also measure its strength. Hence, it can calculate the distance to the iBeacon. An app is needed: Unlike QR and NFC you cannot utilize the mobile web. You need a native app for iOS and Android. Bluetooth must be enabled on the user’s phone. On the one hand, the app can enable this by asking the user. On the other hand, Bluetooth is most likely already on since it is used more and more in cars. The app obeys only to “its” iBeacons – those with fitting UUID, Major and Minor IDs. If they match, an app knows the context of the user (location or nearby object) and can react accordingly with the perfect information (and in xamoom’s case also in the right language). Apple has no patent on Beacons whatsoever. Cupertino only jumped first on the bandwagon and published a detailed specification (IDs, transmission intervals, etc.). Thus, iBeacons also work with Android (4.3 and newer). An iBeacon typically consists of a tiny circuit board with a Bluetooth transmitter, a battery, and a case. There are a lot of different form factors, depending on the application you can opt for indoor or outdoor iBeacons. The latter usually have several AA batteries that power the device for up to two years. Outdoor iBeacons are specified as far down as –40° C and should survive even a harsh winter. We at xamoom did not trust the specifications and have tested our iBeacons extensively. We have put a splash-resistant iBeacon into the water for five minutes. It survived. However, a drop of water entered the case over a long weekend that would have destroyed the device. But rain and storm should not be a problem at all – even for indoor iBeacons. Our indoor iBeacon (certified up to –10° C) even survived the frost test at –16° C. After four weeks in the freezer the battery died though which is simply due to the laws of physics. The smallest available iBeacons fit into a tiny USB stick and are powered on a wall socket. We are sure that iBeacons will also be integrated into electric equipment in the future. There is no shortage of manufacturers and suppliers. The most famous iBeacons come from the Polish manufacturer Estimote. We at xamoom currently rely on the Bluetooth transmitter from Radius Networks. Who needs big quantities and is courageous enough can also source from the “China-Amazon” Alibaba. There you get even custom made cases. The selection criteria for the hardware are quality, durability and the openness of the devices itself. How good is the firmware? Does the manufacturer lock you too much in or is it possible to mix iBeacons of different manufacturers? Does the manufacturer allow you to override the IDs yourself? These criteria were important to us in the choice of manufacturer. Prices of iBeacons vary enormously – from under 10 to over 100 Euro. As a principle, one can say: The more expensive they are, the less maintenance (e.g. battery exchange) they need. Most of them come with chipsets from Nordic Semiconductor. One can move through a gallery or a museum and receive the matching content for the nearest object. Unlike QR and NFC, the user does not need to do anything except walking to the place to get the right content. Think about the concept of GPS geofencing. An iBeacon does almost the same but instead of locating you somewhere on the planet it finds you in a distance related to it (which in turn may also have coordinates). This allows precise positioning inside buildings. And even with high accuracy, it does not drain on your battery. The region monitoring runs usually battery-saving in the background. The app doesn’t need to not be open, the mobile phone can remain in standby. This way it is only determined whether a fitting iBeacon is available or not. An app can now react on the approximations of the ranging. For example, it can decide how many pages it should offer due to more than one object in range. But there is much more. On the web, we are used to measuring all sorts of things: How many users were on a particular webpage and for how long? What proportion of users clicked on a certain button? iBeacons allow similar measurements in the offline world. The range can be counted in to measure the popularity of individual objects, shelves or locations (at different times or by different audiences). This way, you could find out how many people were interested in a product and how few actually bought it. Or you could observe individuals who go back and forth towards a shelf and maybe give them a voucher for the third time. In the narrow space of a shop, this requires the phone to be on and the app to be active all the time. Outdoors, where only a few beacons are distributed within a larger area, this would work perfectly also with region monitoring (phone in standby, the app not running). Contrary to the range you will get a lot more data too. Another possibility would be offline retargeting. However, this requires not only an app. The app would also need to keep user data. Our SDK won’t do this by default (we do not store any user-specific data), but this functionality can be added by any third party developer. In addition to these applications, there are even more possibilities. Some iBeacons provide extra sensors such as thermometers, barometers or gyroscopes. They can transmit their data through the app and the user’s phones (as a proxy) anonymously to a big data service. Once transferred, a lot could be done with this raw data. 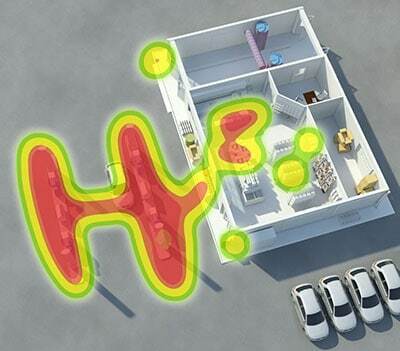 Many iBeacons also provide telemetry data. Data about the battery condition of your iBeacons armada could help planning your next maintenance route. Speaking of the battery: At least in outdoor applications, it is helpful if GPS geofencing is also supported by the app and its backend (like in xamoom). This way, the service can be offered continuously even in cases when an iBeacon fails, has been removed or its battery is discharged. What makes iBeacons even more exciting for some are notifications that can be sent to the user’s phone. This also comes with the region monitoring. Once the user is running in the range of a matching iBeacon, he can be notified about fresh content. This message never comes from the iBeacon itself because it broadcasts only its IDs. It is the app developer’s responsibility. But be aware, less is more! If notifications are sent too frequently and are too intrusive (for example, constantly with sound) you can expect declining app installations. What is annoying gets uninstalled! 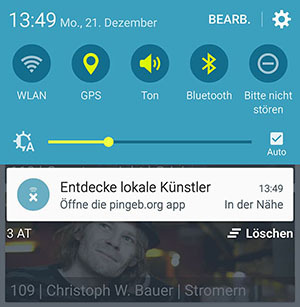 With our apps for Project Ingeborg we try to be very unobtrusive with notifications that display only a tiny icon in the status bar only. If the user leaves the iBeacon region without having turned on his phone, he does not even notice it. iBeacons are here to stay. This is best shown by some impressive figures of last year and forecasts for the future. 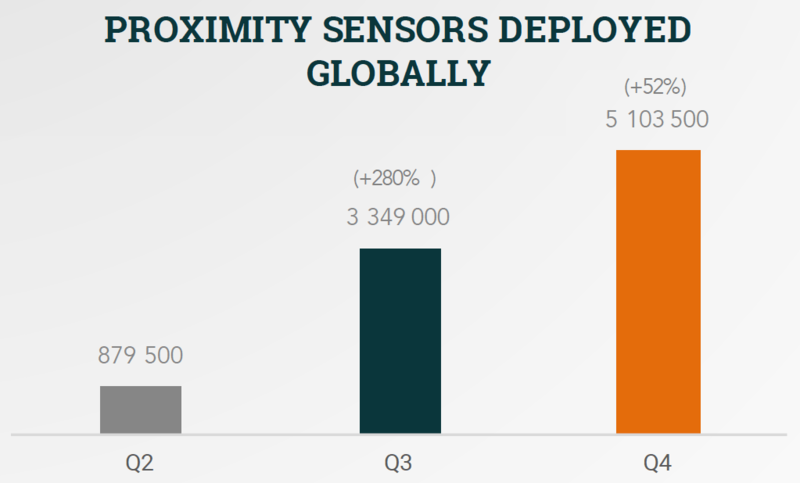 According to a member survey by Proxbook, an industry association of proximity marketing companies, more than 5 million proximity sensors of all types (4 million of which were iBeacons) were in deployed by the end of 2015. The trend is rising sharply, as the graph above shows. By 2020 an astounding 400 million iBeacons are expected worldwide. iBeacons shall gain traction this year when Facebook for Business will begin its rollout of location beacons. Lastly, there are the indirect effects of iBeacon projects that could ultimately help brick and mortar stores. The US market research company Business Insider estimates that already in 2016, a turnover of 4 billion dollars (0.1 percent of the total commerce turnover) will be influenced by iBeacon applications. 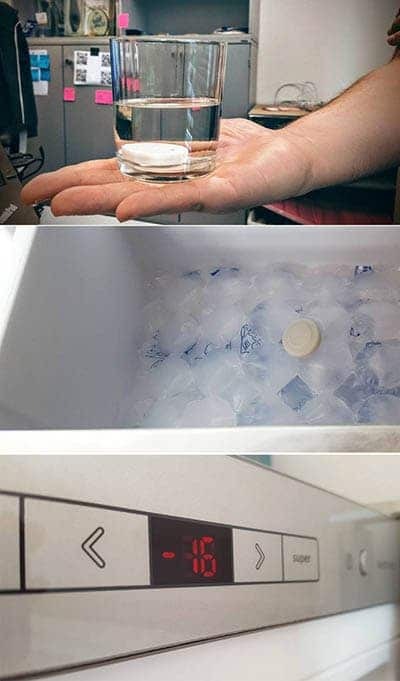 Such solutions do not need to be expensive. The xamoom location CMS has different pricing models and developments with our APIs and SDKs are very efficient as we demonstrate in a blog post with screencasts. Do you wish a demo with Skype or Google Hangout? Just call (+43-463-930 330) or send us an email (mail@xamoom.com).